Dubai has changed dramatically from the last decades; Dubai has become a universal turning point for the business and investors from across the world. Becoming a major business centre with a more dynamic and diversified economy, Dubai enjoys a strategic location and serves as the biggest re-exporting centre in the Middle East. Oil is not Dubai’s foundation income anymore, as many have flocked the City for their settlement in business and travel destination as well as real estate properties, Dubai’s income has increased dramatically since the time when they have found oil in 1996. Although Oil is still a major demand from all over the world, steady growth has helped the economy of Dubai achieve a high degree of expansion and diversification. Why do many investors take the risk in investing in Dubai? All these have been possible due to Dubai’s warm welcoming and world class facilities and infrastructure, open and liberal economic policies. Dubai is a time zone bridge between Far East and Europe; it is a gateway to market. The well established trading links exists with the greater than 1.5 billion people and the total international trade has grown on average of 11% per year or more since 1988, and the regional economic growth and liberalization should boost demand more in time, the local economy of Dubai has strategically claimed the world’s richest region and well endowed with supplies of cheap energy and primary aluminum. And Dubai is diversified, Dubai significant import requirements creates opportunities for product suppliers and re – export. The accessibility has made 120 shipping lines and linked via 85 airlines to over 130 global destinations. The open Dubai has no exchange controls, quotas or trade barriers. Because of all these key advantages, Dubai has become a universal turning point for the business. It has been a goal from Dubai’s president Sheikh and his father, to create something unique. The father had great visions for the future before he died, Sheik Mohammed bin Rashid Al Maktoum took over these visions and now fully live by them. He always get new ideas to attract new business partners. Large buildings, man – made islands and indoor ski resort. Father had great visions for the future and when he died, took his son Sheikh Mohammed bin Rashid Al Maktoum these visions and he lives them fully. He always has a new idea for what will attract new business partners. Large opulent buildings, man-made islands and indoor ski resort. Dubai is part of the UAE which has a low crime rate and a very politically- stable country. 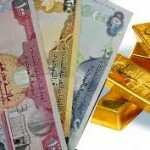 Also UAE enjoys financial and monetary stability. The well developed and sophisticated banking system features extensive credit facilities and ample liquidity. Safety in business is reliable in Dubai because the government has a long, consistent commitment to pro –business, liberal economic policies including protection of intellectual and property rights. The UAE benefits from stable and harmonious industrial relations. Foreigners are permitted ownership rights of up to 49% for limited liability companies established within the Emirate of Dubai and up to 100% for professional companies, representative officers and branches and free zone enterprises. With these factors reflect positively in Dubai’s investment rates for fixed income investment. Dubai’s economy has been kept open and free to attract investors and business. The government control and regulations of private sector activities has been kept minimum. 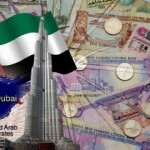 There are no personal taxes and income taxes in Dubai except for oil companies that pay a flat rate of 55% and branches of foreign banks that pay a flat rate of 20% on net repatriation of capital and profits, there are no foreign exchange controls, trade quotas or barriers.